In 1953, Rolex introduced their now iconic Submariner sports watch, in a steel case. 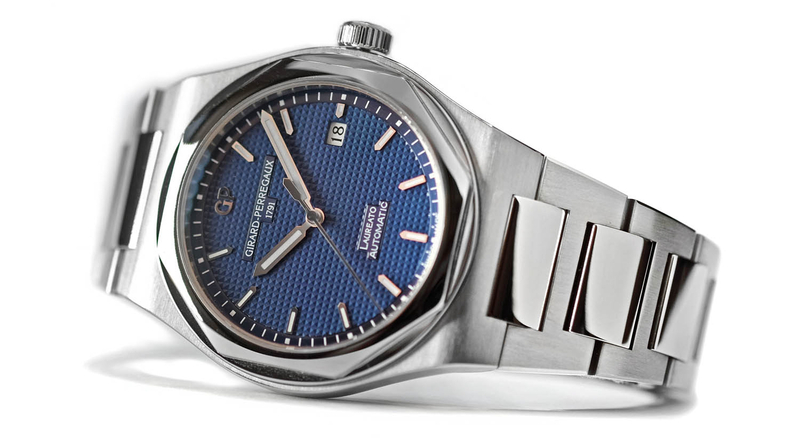 By the 1970s, the top watchmaking houses began to introduce steel sports watches as well. 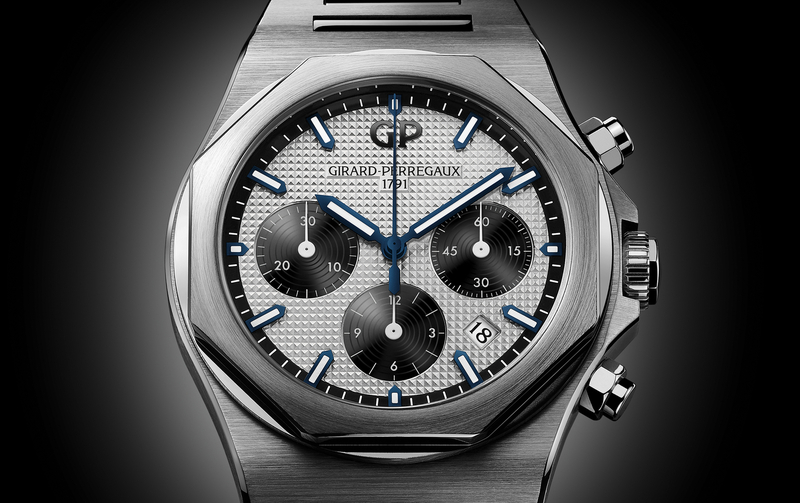 Beginning with Audemars Piguet Royal Oak in 1972. Followed by Girard-Perregaux in 1975 with the Laureato, Patek Phillipe with the Nautilus in 1976, IWC with the Ingneniuer SL in 1976, and the Vacheron Constantin 222 in 1977. With the exception of Girard-Perregaux, all the aforementioned models, or their predecessors, are still in production at these prestigious watch houses today. That of course, is about to change, with the re-launch of the Laureato at Baselworld 2016. 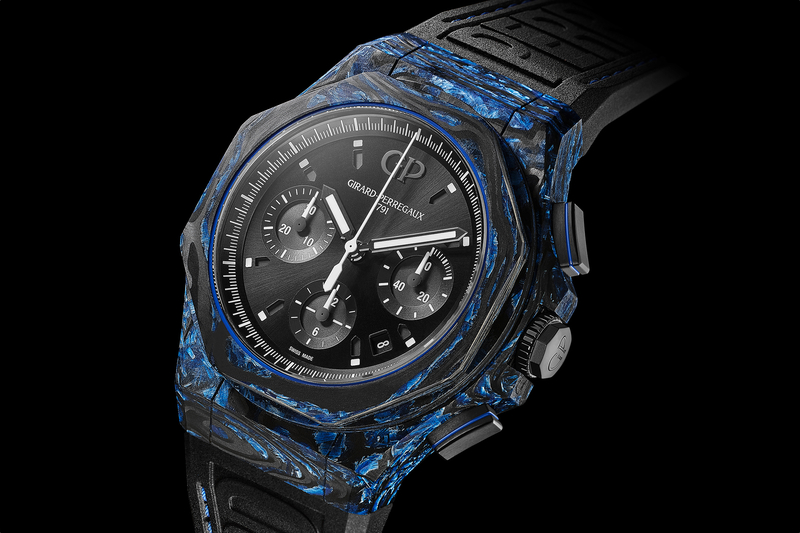 The initial collection will be offered in a 41 mm x 10.10 mm steel case, with polished octagonal bezel, satin-brushed case, integrated bracelet with polished center links, baton-shaped luminescent hands, and either a silvered or blue dial with a “Clous de Paris” pattern. Manufacture caliber GP03300-0030, an automatic mechanical movement running at 4Hz – powers hours, minutes, seconds and a date function. 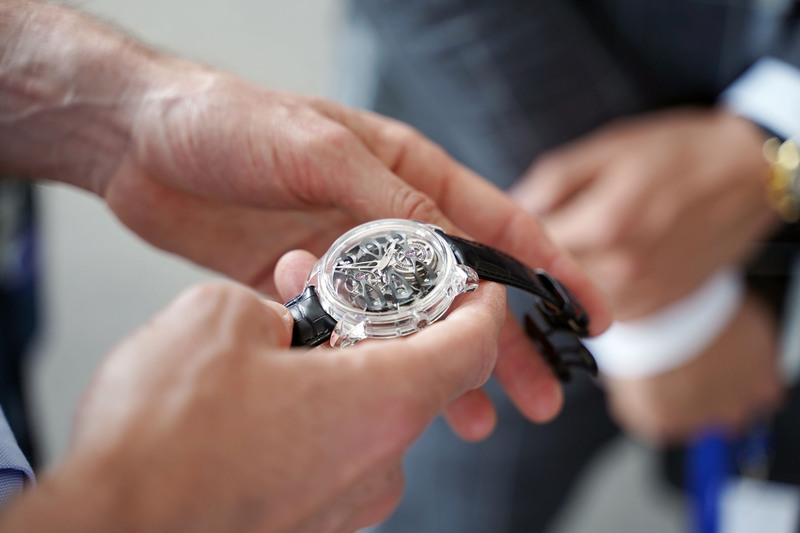 The 27 jewel movement has a maximum power reserve of 46-hours. Water-resistant is 30 meters.